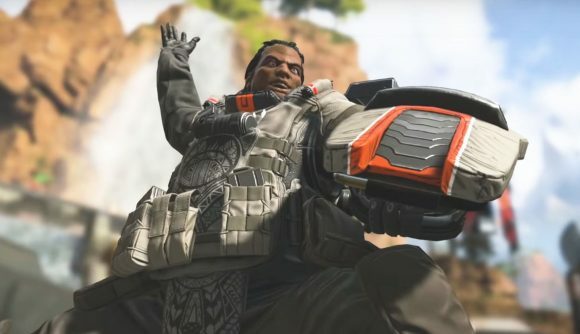 Apex Legends legends is topping the Twitch charts, aided in part by a tournament which saw its first results last night. Kings Canyon – consisting of Ninja, Dizzy, and KingRichard – took home top honours in the North American branch of the Twitch Rivals tournament, including $8,000 of the initial prize pool. Best of all, the team won with a blazing score of 420, just one point above the second-place Reids Money Team. While Ninja is the most broadly recognisable member of Kings Canyon, KingRichard and Dizzy are top players, too. As Dot Esports reports, Dizzy set the early record for most solo kills in Apex Legends, and he ranked top in this tournament for kills, as well. While that’s a broad amount of skill, it was hardly a runaway victory. Kings Canyon finished the tournament with 13 wins and 355 kills. Second place went to Reids Money Team – made up of chocotaco, vsnz, and huskers – with 10 wins and 369 kills. The second-place position still brought in a solid prize of $7,000, and the $50,000 prize pool continues to split evenly among the rest of the field. As Ninja notes on Twitter, this means he’s now taken top prizes in the first official tournaments for H1Z1, PUBG, Fortnite, and Apex Legends. An impressive stat, even if there’s more than a little reliance on good teammates there. You can catch up on the full VODs via the official Twitch Rivals page. Twitch popularity has helped to grow the Apex Legends player count at a ridiculous rate, and the game’s momentum shows no signs of slowing down so far. We’ll see another Apex Legends edition of Twitch Rivals on February 19.